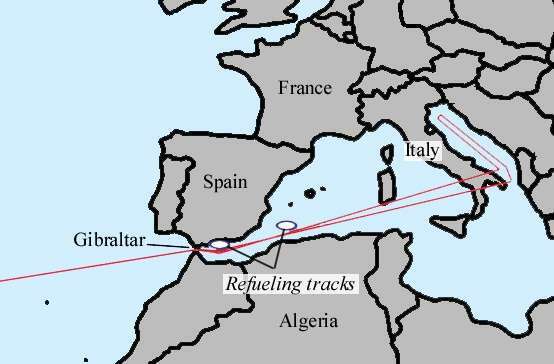 The March 2009 edition of Time magazine called it one of the world’s “worst nuclear disasters.” On January 17, 1966, a B-52 bomber of the Strategic Air Command (SAC) carrying four hydrogen bombs collided with a tanker during mid-air refueling at 31,000 feet over the Mediterranean off the coast of Spain. The tanker was completely destroyed when its fuel load ignited, killing all four crew members. The B-52 broke apart, killing three of the seven crew members aboard. 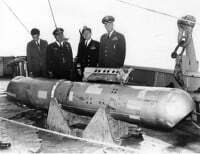 Three hydrogen bombs were found on land near the small fishing village of Palomares. However, the non-nuclear explosives in two of the weapons detonated upon impact with the ground, resulting in the contamination of 490 acres. The fourth fell into the sea and was eventually recovered intact after a 2½-month-long search. News stories related to the crash began to appear the following day, and it achieved front page status in both the New York Times and Washington Post on 20 January. Reporters sent to the accident scene covered angry demonstrations by the local residents. 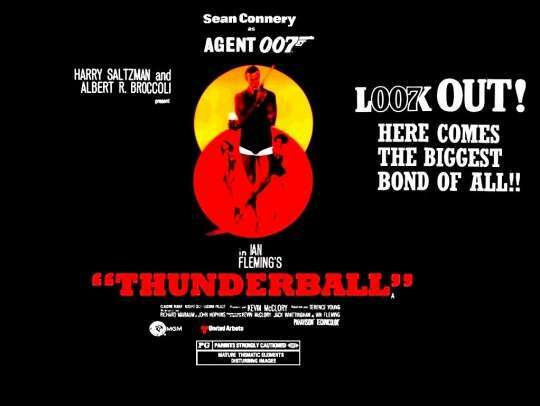 The incident had an eerie similarity with the recently released James Bond movie Thunderball, in which SPECTRE steals two NATO H-bombs, which end up submerged on the ocean floor of the Bahamas. On 4 February, an underground Communist organization successfully initiated a protest by 600 people in front of the U.S. Embassy in Spain. Soil with high radiation contamination levels was placed in drums and shipped to the Savannah River Plant in South Carolina for burial. A total of 5.4 acres was decontaminated, producing 6,000 barrels. In 2006, Reuters reported that higher than normal levels of radiation were detected in the region. In 2009, the Spanish Foreign Minister Miguel Ángel Moratinos told Secretary Hillary Clinton that he feared Spanish public opinion might turn against the U.S. once the results of the study on nuclear contamination were to be revealed. Earl Wilson was Director for the U.S. Information Service (USIS) in Madrid and was interviewed in 1988. WILSON: You know there was the crash of a bomber and a refueling plane when four H-bombs were lost. I was called the afternoon of January 17, 1966 by an officer from the Air Force base at Torrejon, who said they had a “broken arrow,” code for a plane crash with nuclear weapons. I had a sinking feeling. Right after World War II, when I was still in the Marine Corps, a captain at that time, I flew in the co-pilot seat over Hiroshima. We circled around looking at that devastation. In this particular accident, the planes were lost, and four H-bombs, each had 75 times the power of the Hiroshima bomb. They told me the Commanding General of the 16th Air Force, whose name was Wilson, was informed of the crash within three minutes. The communications of SAC were phenomenal. I played golf with a deputy out there one day who had a telephone on the golf bag on his cart. The phone rang. He was talking to some general. I thought he was talking back to the control tower. It kept ringing. He would tell the general about our golf game. I learned he was talking to the SAC Headquarters in Omaha. Anyhow, General Wilson, as soon as he got the flash, got hold of another one of his officers and his public information officer, and they flew off in a small plane to near where the crash was, was Palomares. It was very remote. They had to wind up taking a taxi to get to the site. The senior American military man in Spain was Major General “Moose” Donovan, Chief of the JUSMAAG. He and I were good friends. He had a special rapport with Franco’s deputy, General Munoz. So “Moose” immediately went off to see General Munoz. General Wilson, with his aides, arrived on the crash scene. His public information officer, incidentally, was Lieutenant Colonel “Skip” Young. He was a fighter pilot, a bomb disposal guy, a very gung-ho guy, but he didn’t know from his backside about information. (Laughs) So there we were. The first thing I did was to run up to tell the Ambassador [Angier Biddle Duke]. It was lunchtime. The Ambassador told me to go down and get the contingency plan from the military. I went to the military attaché’s office. Nobody was there except a secretary. We rummaged and rummaged around. She finally came up with this so-called contingency plan. I took it up to the Ambassador’s office. Q: Was this the military attaché’s office? WILSON: Yes, in the same building as the embassy. So I took it up to the Ambassador’s office. He and I sat together on a couch and looked at this document. We both came rapidly to the conclusion it had absolutely no relevancy whatever to what was happening. He said, “Tough.” Well, that, unfortunately, was the way it was. It got to be wryly amusing, because Harold Milks, the Associated Press bureau chief, had a stringer down at Palomares, where they had only two telephones, one in a bar and one in a ratty hotel. General Wilson’s people found one of these phones, this stringer found the other. He was telling Milks, Milks would tell me, and I would tell the ambassador what was happening the first day or two down there. At the embassy, I was Chairman of something that had a very inelegant name, PAWG, Public Affairs Working Group. We met once a month with representatives from JUSMAAG, the 16th Air Force, the Sixth Fleet, Rota naval base, embassy politico-military officer, and myself, to coordinate…. Because of this difficulty of getting information, the Ambassador got General “Moose” Donovan, who had his own plane, to go with him and me to fly down to the nearby town of Almeria, and from there take a helicopter to go over and talk to General Wilson at the crash site. Of course, lots of troops and military stuff were rapidly building up there. The Spaniards living in the area were frightened. The military was taking a very hard-nosed line with the foreign correspondents. They were barred from the area. Incidentally, I later was able to get one of my officers who was fluent in Spanish and a political officer to tool around the countryside to find out what the people were really thinking, because I thought this was asinine, not dealing with that local situation. I found General Wilson was responsible for the land search, and Admiral Guest responsible for the Navy task force that had been assembled. They were hardly speaking to one another. They found three H-bombs on land, believed the last one was in the water. That was a tough one. We went out to Guest’s flagship. He showed us maps and the charts. They were beginning with the conventional mine-sweeping type of operation. The best technology in the world for an underwater search was beginning to be assembled. But Admiral Guest wanted nothing to do with the press. I said, “What on earth? You don’t have anything classified out here other than that bomb down there.” But it didn’t make any difference. The Communists, of course, were broadcasting anti-American material to the people of Palomares and to Spain. The matter was beginning to pop up in Parliaments around the world. 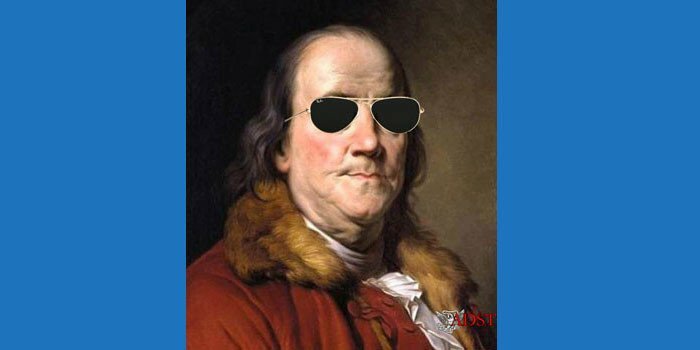 I wrote endless cables and memorandum to the Ambassador and joint ones for the State Department and Pentagon, constantly urging a more realistic press policy. 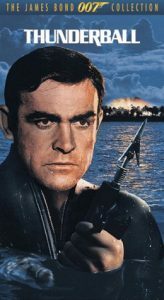 It just so happened the James Bond movie, Thunderball, with its underwater search for a nuclear weapon, was a current big hit. A lot of people formed their ideas from watching that movie. The people were getting worried the bomb somehow, without going off, would poison the waters of the Mediterranean. Our nuclear submarine base at Rota could become an object of extreme interest. I found out that a new tourist hotel was to be inaugurated very close to Palomares. What a lot of people didn’t realize was the U.S. had helped in the buildup of tourism to a major industry in Spain. These hotels were part of our assistance. I pointed out this was an excellent opportunity for the Ambassador to go down there and get involved, use that as an occasion to help straighten things out. 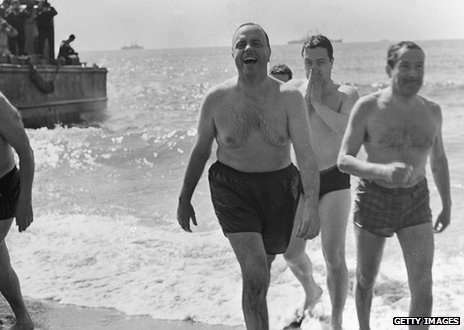 It wasn’t my suggestion, but that of one of the foreign correspondents, an American, who suggested the ambassador swim there. It was a stroke of genius. The photo appeared in the front page of papers all over the world, proving the absence of radiation in the waters. [Ambassador] Duke always said that no matter what he did, this was the only thing he’d ever be remembered for. It wasn’t just the Ambassador, but Spanish officials, journalists, wives, children, and USIS officers who went swimming. So then they got tiny submersibles hunting for the bomb. On April 7, 1966, 80 days after the crash, one of the little subs, Alvin, located this thing and pulled it up. I suggested –and I guess there were others — that for credibility, we let the press see this bomb before it was shipped back to the States. For the first time, the Pentagon agreed. It was exposed for photographs before being taken away.